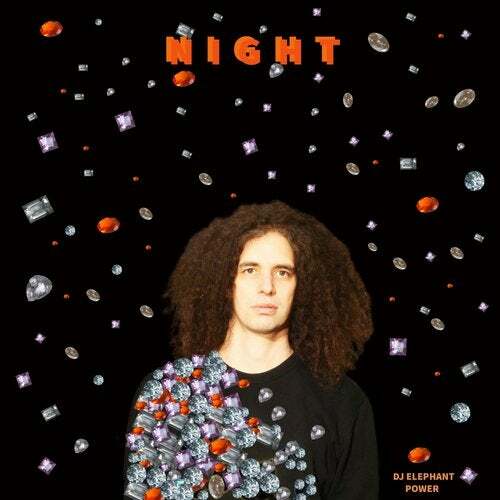 Dj Elephant Power has unveiled brand new music in the form of an album. His last one 'Elepha In Da Flash' received the Belgian Octave Award . An anticipated work that demonstrate a new direction throughout nine tracks. The recording process has started and finished in Brussels. But the inspiration drives him to create music from one Berlin hotel room to another in Barcelona. And finally, find his « peak » outdoor during a night with the Massai in the middle of the savanna in the East Africa. The title 'Night' could mean: the night is young, party time is calling.. But it's also the moment when you can watch infinity stars and galaxies in the dark sky. The track 'Ndovu Powa' brings back year 2000 R'n'B magnificence to House music of today. 'Stars Of The Milky Way', 'Purple Scorpius' have the power to welcome the crowds. It's an emotional control, not only a sonic tension. The music was composed on a natural occurence. With 'Blue Sirius' or 'Night Shoot' the pitch relation with rythme and synth are polished and glued to achieve strong dynamic. It's a travel straight into a melancholy futuristic dimension. Electronic chic, percussions on, a bit psychedelic, the Belgian Dj, Elephant Power, breaks the traditional codes in this new electric and vibrating album. Influenced by the African tribal dance, the cadence of the bass line and drums drives us directly to a rhythmic colored exotic world.